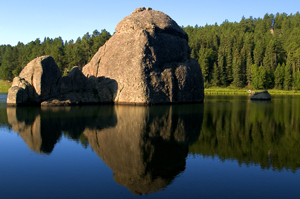 Founded in 2006, BlackHillsGoldSource is located in beautiful Boulder, Colorado. 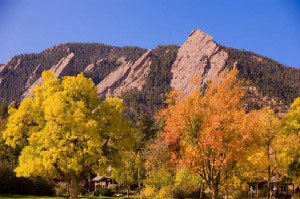 At the foot of the rugged Rocky Mountains, Boulder is only a few hours from South Dakota's Black Hills. We came to settle here in 1996 because of its close proximity to the Rocky Mountains, enabling many recreational opportunities, and for the wonderful four-season climate providing over 300 sunny days each year. But we also discovered a Colorado steeped in rich western history, owing much of its growth throughout the years to its heralded mining industry. Though silver has been the most widely mined precious ore in Colorado, it was on May 6th 1859 that John H. Gregory discovered a gold lode which created Colorado's first mining district. In the Black Hills, our neighbors to the north, Horatio N. Ross, a scout for General George Custer, discovered gold in 1874. Two years later Henri LeBeau, a French prospector and goldsmith, brought the tri-color grape and leaf design from mining camps in Colorado, Nevada, Idaho and Montana to South Dakota, where he opened up a shop in Central City in 1876.
! But excitement aside, our goals are specifically to provide you, our customers, with a quality product at a fair price and a most pleasurable shopping experience. If there is ever anything we can do to enhance your visit, please do not hesitate to let us know!